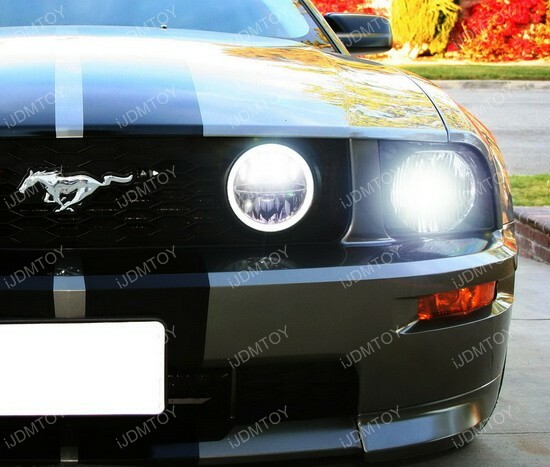 These Ford Mustang LED Rally Lights are powered by 4 pieces of 5W LED’s for each fog light as well as a 10W halo ring LED for the daytime running lights. 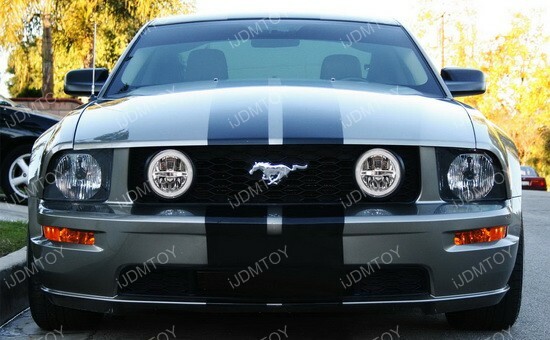 They have two functions, as an LED daytime running light and as an LED foglight. 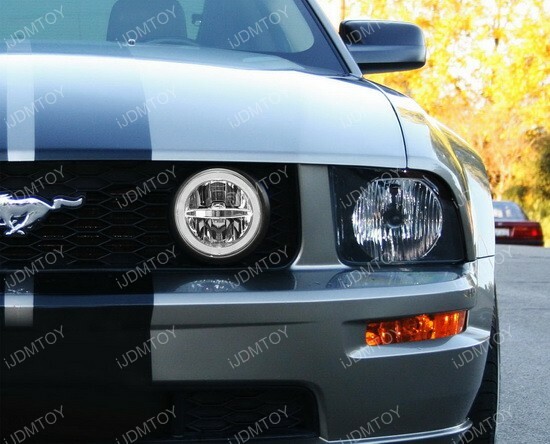 The LED’s only fits the Ford Mustang GT Deluxe or GT premium models, unless the Mustang has an aftermarket GT Center hood grill with an opening for the rally fog lights. 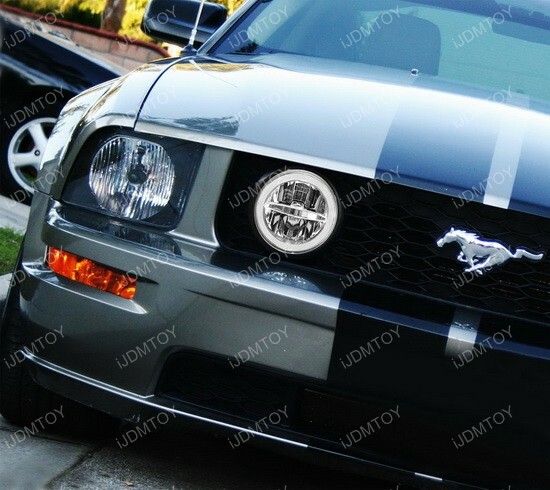 This entry was posted in - LED & HID Updates and tagged American Muscle, Angel, angel eyes, daytime running lights, Eyes, Fog, fog lamps, fog lights, ford, Ford Mustang GT, GT, halo, halo ring, iJDMTOY, lamps, LED, LED DRL, LED Fog Lights, LED Halo Rings, lights, mustang, Mustang GT, Rings, Stang, StangNation by Jason T. Bookmark the permalink.